Living room with a sofa bed for up to 1 child, bedroom with box spring bed and bathroom. Spend your holiday in the beautiful Ötztal. Our holiday home Tim Louis with the two holiday apartments Ötz and Sautens is located on the outskirts of Sautens. Enjoy the peace and the beautiful view of the mountains. A garden sauna is at your disposal for relaxation. The apartment Ötz is located on the ground floor and has a beautiful large terrace, a fitted kitchen with dishwasher, stove, coffee maker etc., living room with a sofa bed for up to 2 children, bedroom and bathroom. 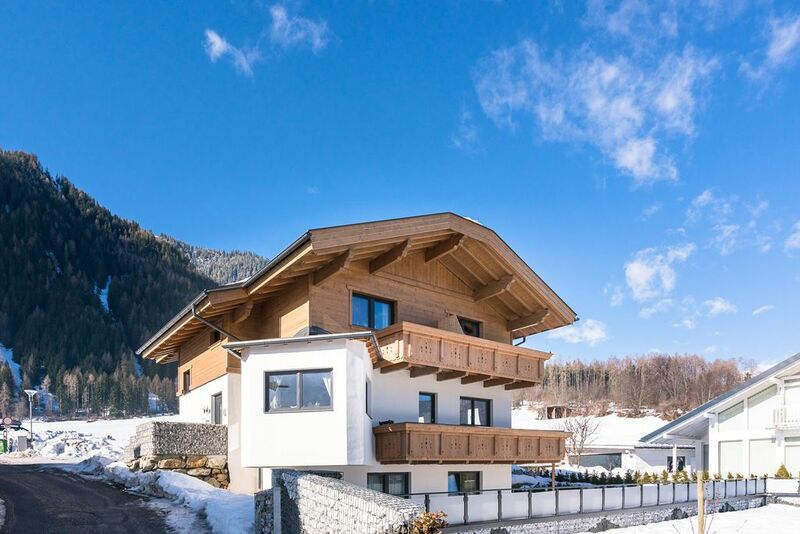 In the holiday home you are also a ski and a bicycle storage facility. Directly at the house is a toboggan run along that closest ski area "Hochoetz" is about 3 min. away. The Sölden ski area is about 25 minutes. away. Bathing can be found at the local swimming pool or in Piburger lake, with up to 25 ° C warmest lake in Tyrol. Sautens is located at the entrance of the Oetztal valley, in two broad Murkegeln. The quiet, family-friendly place is one of the most popular summer destinations in the Oetztal. Ideal for trips in and outside of the valley situated to the guest opened here the entire Ötztal. The sprawling valley is ideal for cycling and walking. Hikes in the surrounding mountains are suitable for the whole family. High mountains and wild water - a unique leisure paradise at the foot of more than 3 000 m high Acher Kogel at the gate to Ötztal. The Hochoetz ski area is a paradise for skiers and snowboarding enthusiasts. For Gaudi and socializing the traditional huts and pastures provide that lie directly in the ski resort Hochoetz. Around the ski run a variety of romantic winter hiking trails. Thanks to the snow-sure location and 100 percent snowmaking in the entire ski slopes fun is guaranteed in Hochoetz.